Liquid-damped magnetic steel needle and long-lasting precision pivot. Built-in magnetic declination screw and magnifying lens. Sighting mirror with luminous points. Additional sighting hole. 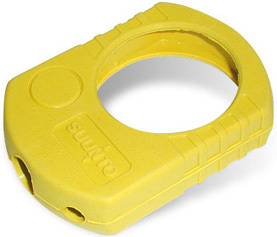 Clear protractor base is imprinted in red and features skid-proof rubber map feet. 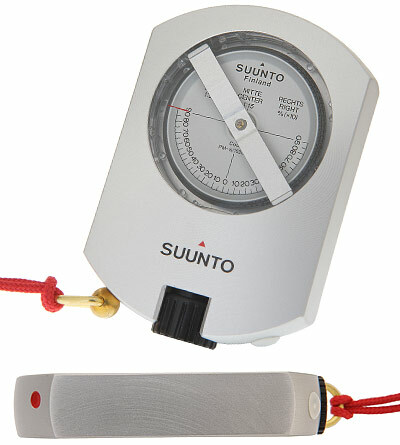 Clinometer measures heights and slopes to ±90°. Lanyard and declination tool included. Features a magnifier in the base, 1/20 inch scale, a mm scale, plus 1:25,000 and 1:50,000 map scales. 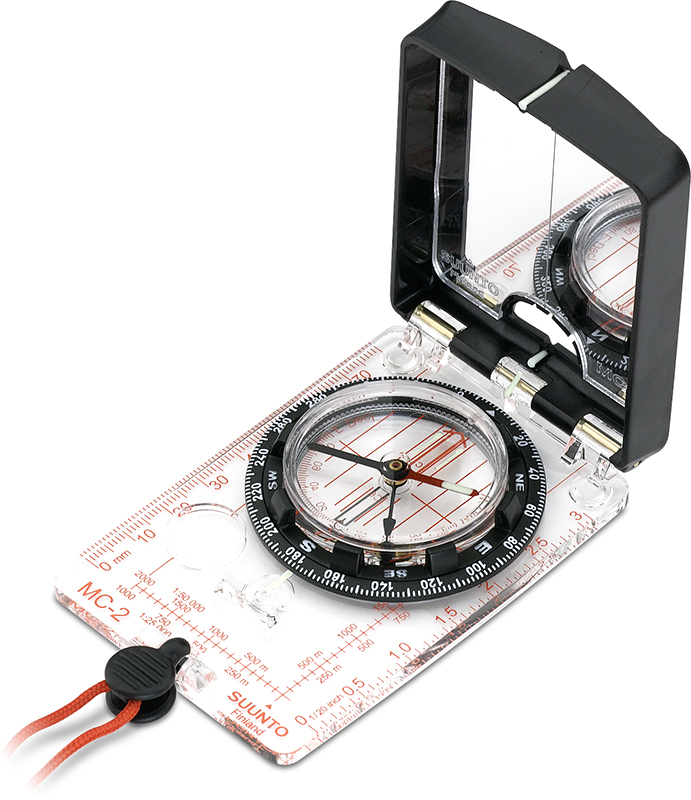 Lightweight mirror-sighting compass is graduated 0 to 360° in 2° units and even floats! Fixed declination correction scale, polypropylene lid, sighting mirror, and rotating bezel. Detachable snap-lock lanyard with whistle. 2.5" x 5" x 0.6" . Graduated 0 to 360 degrees in 2 degree units. Features a liquid filled capsule, a declination correction scale, and scales in cm, inches, 1:24,000, and 1:62,5000. Rounded base-plate fits comfortably in your hand and has red print, a black bezel with white print, and a tapered map edge. 2.25″ x 3.5″. Lanyard Included. 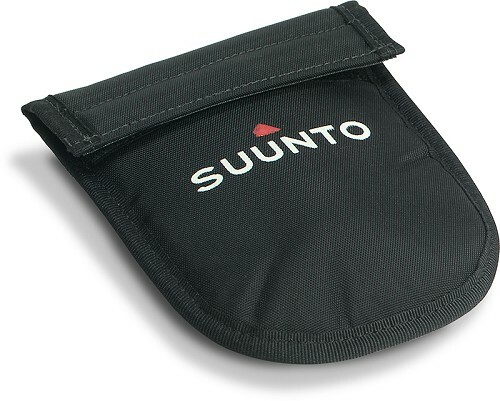 Features Velcro® closure and belt loop. Black Cordura nylon. The high-impact plastic housing of the KB-20 floats and is both waterproof and shockproof. Balanced for global use and graduated to 1°; estimates to 1/2°. Small backsight bearings are printed above the larger foresight bearings for easier orientation, navigation. Size: 2-7/8" x 2-1/8" x 5/8". Includes lanyard. Sold without case. High precision compasses that are very easy to use in the field -- simply sight your target using the through-compass lens and read the displayed bearing to the nearest 1/2 degree (estimate to 1/4 degree). The KB-14 has a brushed aluminum case and is supplied with a neck lanyard and Skylon (leather-like) case. Dimensions are 37″ x 2″ x 9/16″. Used to measure heights, slopes and vertical angles. Solid aluminum housing that resists rust and protects against impact. Jeweled bearing assembly supports the scale card assuring long-lasting accurate operation. Damping liquid surrounds scale card, assuring smooth, accurate and quick readings. Supplied with lanyard. Weight: 4.2 oz. 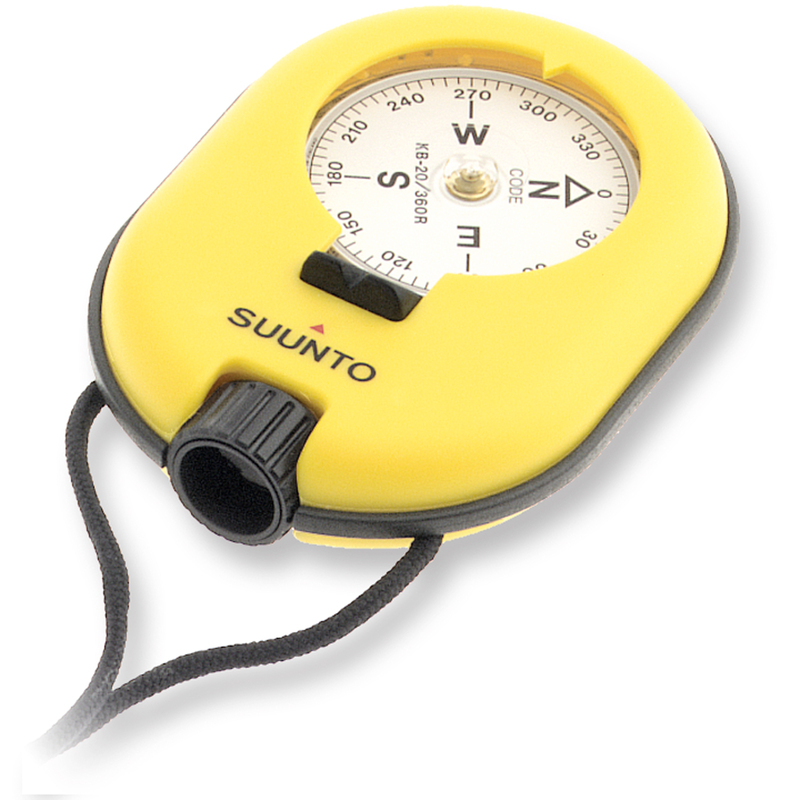 Protective yellow rubber cover for your Suunto Clinometer or KB Compass. Combines an electronic clinometer, height meter and digital compass all into one! 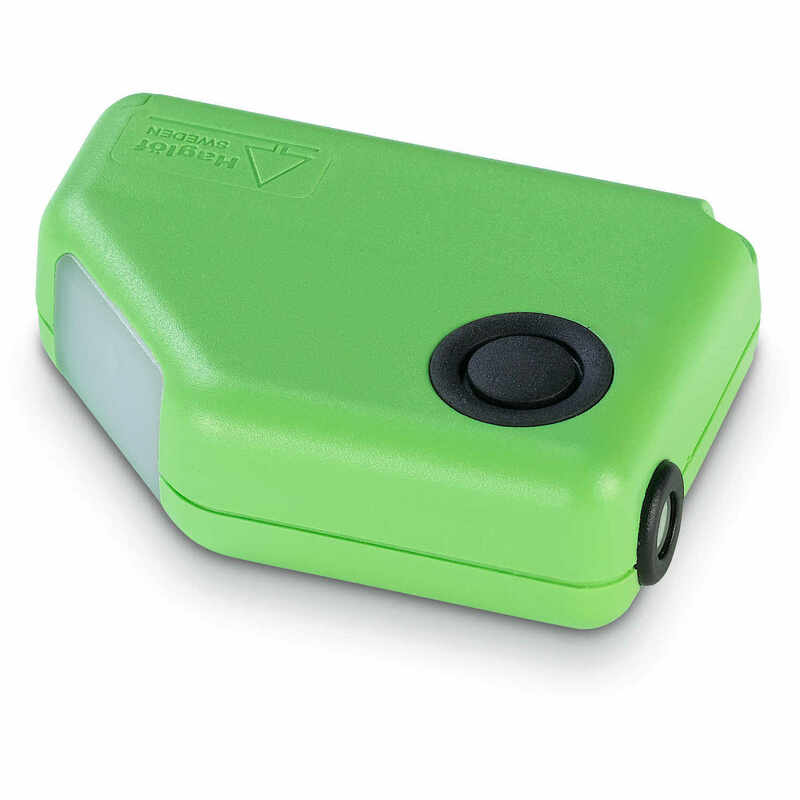 Small, accurate, fast and easy-to-use with single button operation! Heights can be measured from any distance - simply enter the distance to the tree, aim at the bottom of the tree (press button), then at the top (press button) and read off the height. 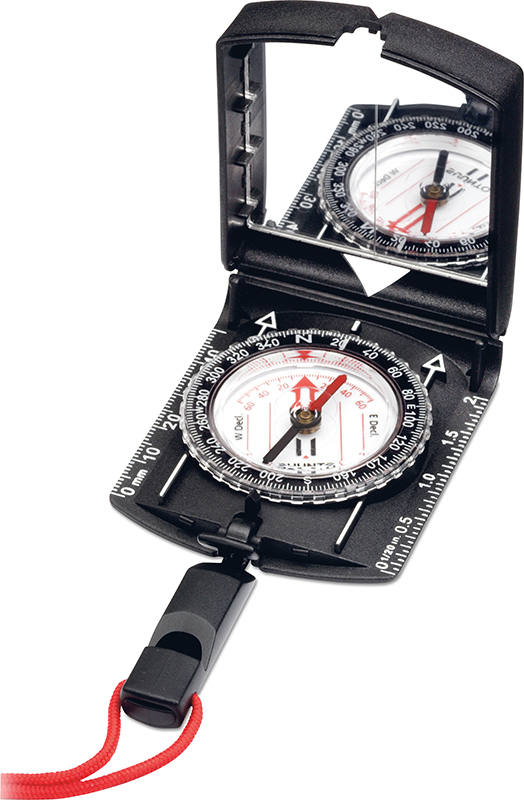 The digital compass displays from 0-360 degrees in 1° increments, has magnetic declination and is easy to calibrate. Made in Sweden. Two models available. Meters / Degrees or Meters / Percent. Clinometer Accuracy: ±0.2'; ±0.2° (depending on the accuracy of the distance entered). Operating Temperature: -15°C to 45°C/5°F to 113°F. Power: 1 AA battery (included).